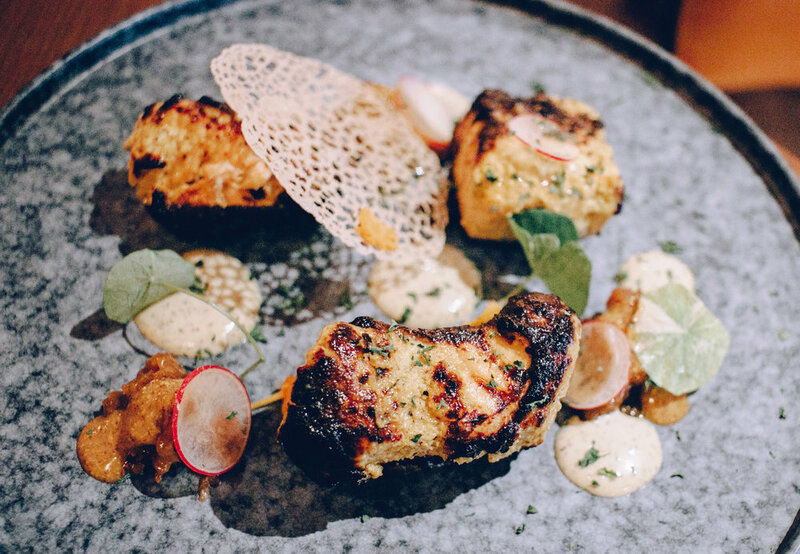 It takes a lot to tear me away from the comfort of my desk, but an invitation for a fine dining experience at the newly opened Indian bistro Farzi cafe, looked too irresistible to turn down. Farzi Café London is overseen by the award-winning chef Saurabh Udinia. One of India’s most acclaimed young talents, he has brought experimental Indian cuisine to the city for the first time, with the help of molecular gastronomy, state-of-the art equipment and food theatre. You need to go for the gorgeous menu spanning Tawa Aloo, peppered prawns, and selection of biriyani, and stay for the beautiful art deco sumptuous décor. 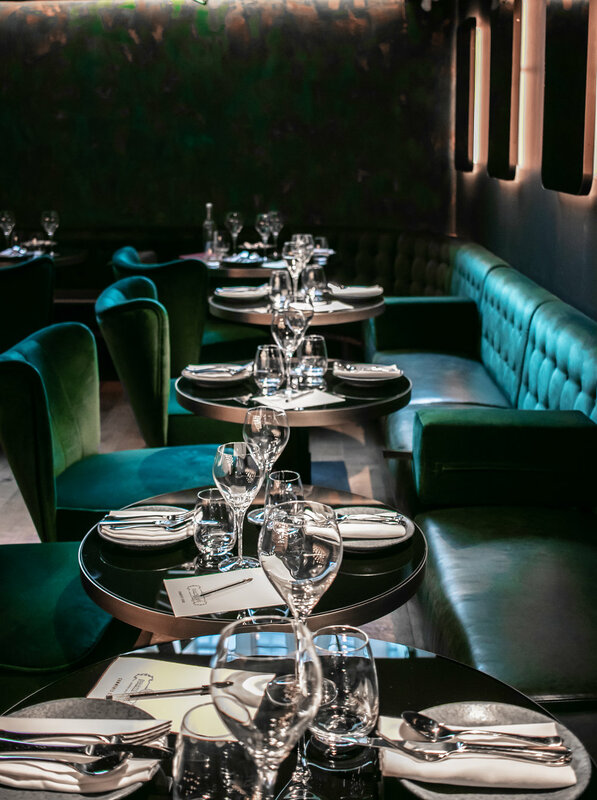 The menu truly is theatre as there is nothing ordinary about your favourites. A special treat is their selection of cocktails inspired by astrology. Pick your own star sign or, why not try someone else’s? the sweet but fresh cocktail inspired by Leo was delectable, (and a lot) I needed two hands to hold the jar decorated with flowers. What is actually a nice surprise about the cafe based in Haymarket, was the price. The cocktail was about right starting from £12, but considering this postcode and the quality of the food, prices were very reasonable. Opt for a selection of small plates as a starter (from £6) or enjoy something from main roasts and grills menu ( from £13). I will definitely be going back. All pictures were taken by me. I was invited by Farzi Cafe London as a guest for review.